Joseph lost his battle with pancreatic cancer on June 27. He was 89. Joe had been ill for some time before the family announced his terminal illness to the public. 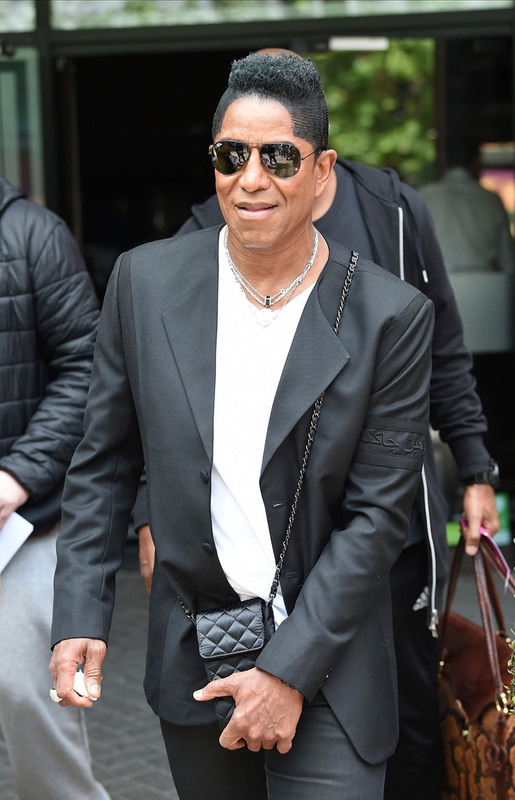 The extended Jackson family and friends, including eight of Joe’s 11 children, gathered for a private ceremony at Forest Lawn Cemetery in Los Angeles to lay Joe Jackson to rest. But Joe’s third eldest son Jermaine, 63, was not in attendance. Jermaine, pictured 2nd from right in 1971, was the original lead singer of the famed Jackson 5 in the mid-1960s. At age 11, Jermaine was forced to share his microphone with the family’s emerging star, his 7-year-old brother Michael, pictured center. When Jermaine’s voice changed a few years later, 10-year-old Michael took over the lead for good. With Joseph’s tough guidance, The Jackson 5 became the first American recording act to have their first 4 singles reach #1 on the Billboard Hot 100 chart.